Am I a good writer? Nah, not so much, not yet. I’m an ok writer. Tolerable. Readable. Heck, I get my spelling wrong, mix up my words and screw up sentence construction. 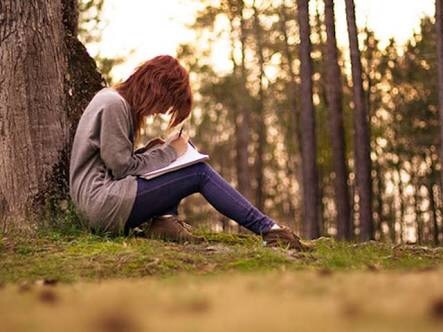 I feel that my thoughts get away from me even before I get the chance to write or type them down. I feel like I need to wrestle them down and arrange them in places so I can make sense of it all. I have this flow of words and I’m just waiting to let it pour. My mind keeps on rambling different random ideas and opinions. I sometimes I edit them in my head. Try to filter out the excess so I can figure out what I’m trying to say. I get tongue-tied even before the words reach my lips. Between my babbling and all my musings I choose to write about what I love. I’m passionate about books and all things in between. The fandom, the anticipation of the next book in the series, the bittersweet moment whenever a good story comes to a close, the happiness of taking that journey and meeting amazing characters along the way. With all that chaos inside my head, I still choose to write about what I know. ‘Cause I believe in my words. I stand by my opinion. I’m open to suggestions but you may find that you’ll have to work hard to persuade me. I’m bull-headed that way. But I listen to criticisms and welcome corrections. It may (will) bruise my pride a bit, but I’ll live. If my mistakes will make me a better writer, I openly embrace it all. So what I’m really saying is, I’m still not as good as I want to be but I’ll get there, soon. With continued practice and lots of caffeine. I know I’m still a beginner and I’m still learning my craft. It may or may not work out but I can be proud in saying that I went out there and gave it my all.